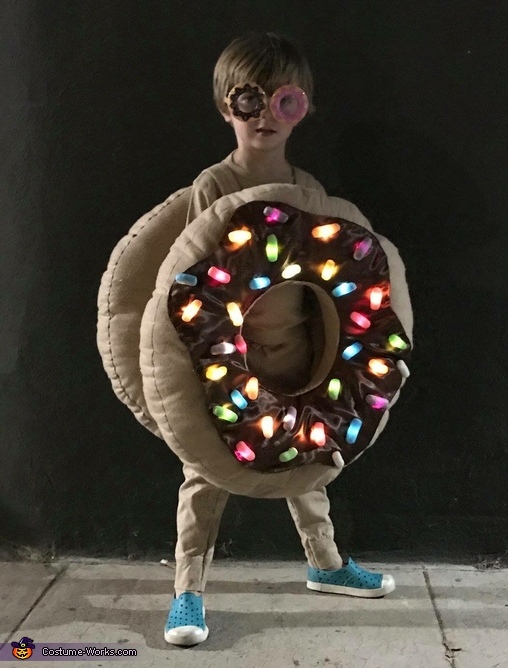 My son saw a donut costume in the store and decided that's what he wanted to be. I said,"okay,but I'm making it." I used fleece and satin to make the donut. I put battery powered lights underneath the satin and cut holes to pull the bulbs through. I then used magic nuudles (that's how it's spelled) for the sprinkles. They are a kids craft item.